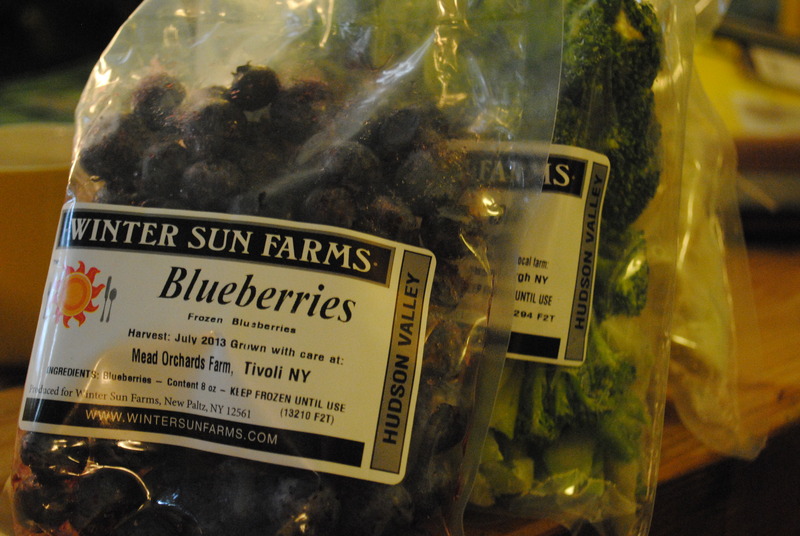 One cold Winter’s eve, we decided to cook up a splendid meal with our Winter share corn, blueberries, and our pair of poussins from the Northwind Farm meat share. While we also love a simple chicken roast, we decided it was a night to get in some zen cooking — beautiful kitchen meditation through a night spent cooking with love. 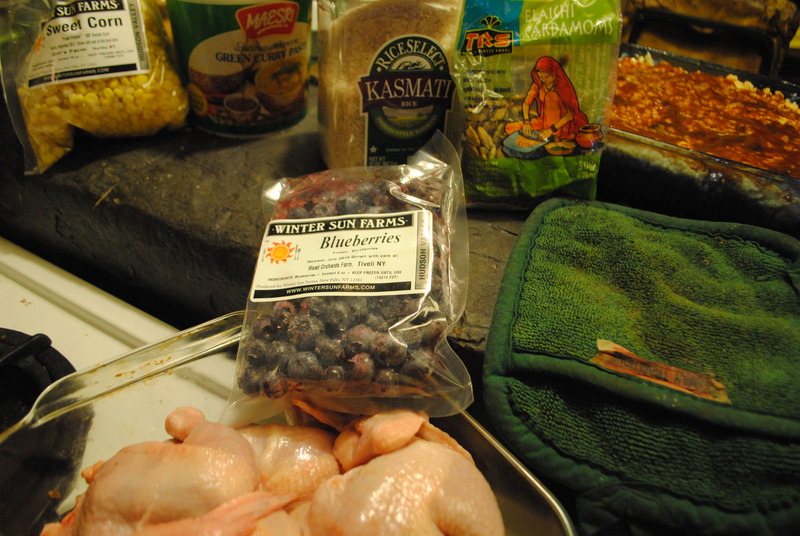 We will get to what scrumptious dish we did with our corn tomorrow, but today we will focus on the pairing of chickens and blueberries with one of our favorite new recipes from one of the most fabulous new cookbooks to grace our shelf — Chicken with Cardamon Rice from “Jerusalem”. I am an addict for cardamom. It is this addiction that led me to discover the recipe for Cardamon Rice in the NYT. It is also how i learned about the latest Yotam Ottolenghi and Sami Tamimi cookbook. It was quickly clear after cooking up this dish that i had been missing out. Having always wanted an Ottolenghi cookbook, my raving about this dish led a friend to purchase the book for me as a gift. Let me tell you, it is a gem — so far every recipe has been divine and the pictures are heavenly. If you don’t own it, you should!! I found this recipe while hunting the NYT cooking blogs. 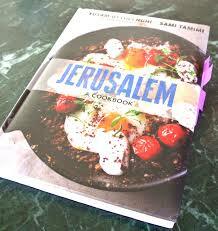 From the Recipe Lab section, it is a great read about the popularity of the Jerusalem Cookbook. 1. Put the sugar and scant 3 tablespoons water in a small saucepan and heat until the sugar dissolves. 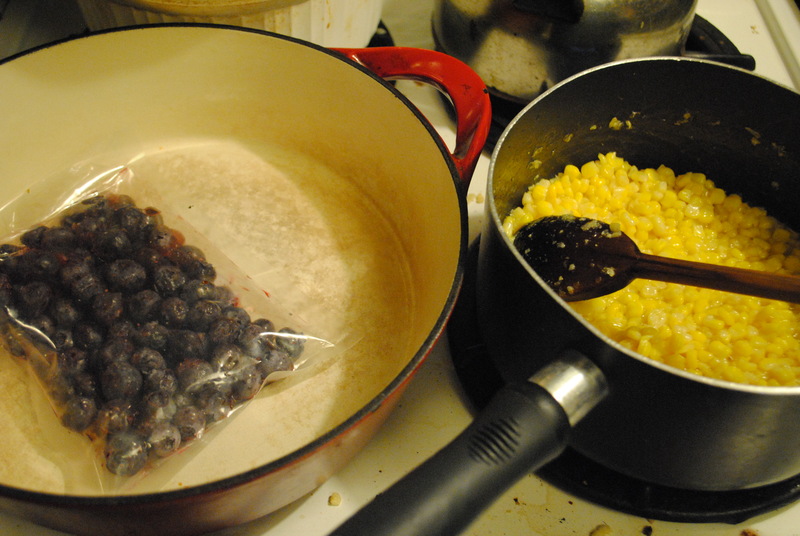 Remove from the heat, add the barberries, and set aside to soak. If using currants (or blueberries ;)), you do not need to soak them in this way. 2. Meanwhile, heat half the olive oil in a large sauté pan for which you have a lid over medium heat. Add the onion, and cook for 10 to 15 minutes, stirring occasionally, until the onion has turned a deep golden brown. Transfer the onion to a small bowl and wipe the pan clean. 3. 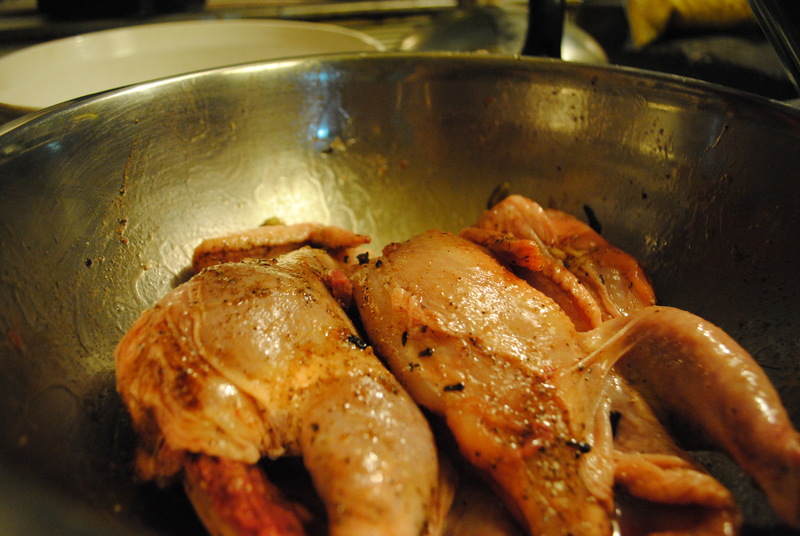 Place the chicken in a large mixing bowl and season with 1½ teaspoons each salt and black pepper. Add the remaining olive oil, cardamom, cloves and cinnamon and use your hands to mix everything together well. Heat the frying pan again and place the chicken and spices in it. Sear chicken for 5 minutes on each side and remove from the pan (this is important as it part-cooks the chicken). The spices can stay in the pan, but don’t worry if they stick to the chicken. Remove most of the remaining oil as well, leaving just a thin film at the bottom. Add the rice, caramelized onion, 1 teaspoon salt and plenty of black pepper. Drain the barberries and add them as well. 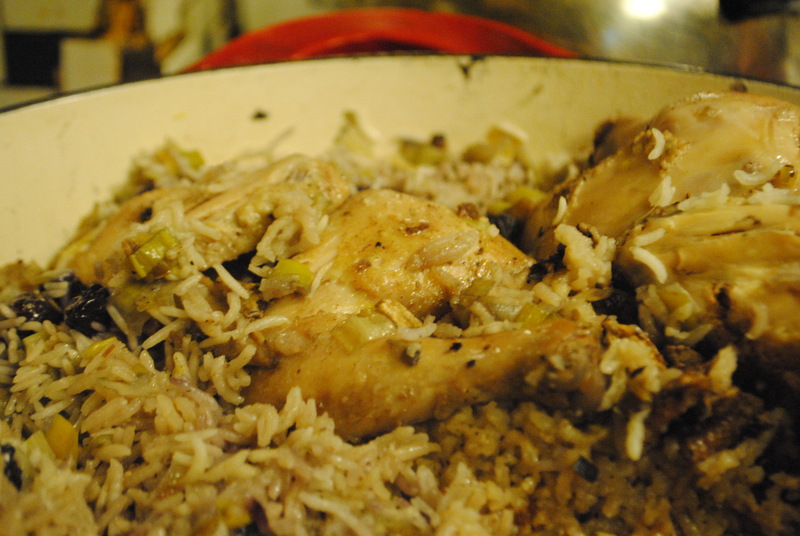 Stir well and return the seared chicken to the pan, pushing it into the rice. 4. 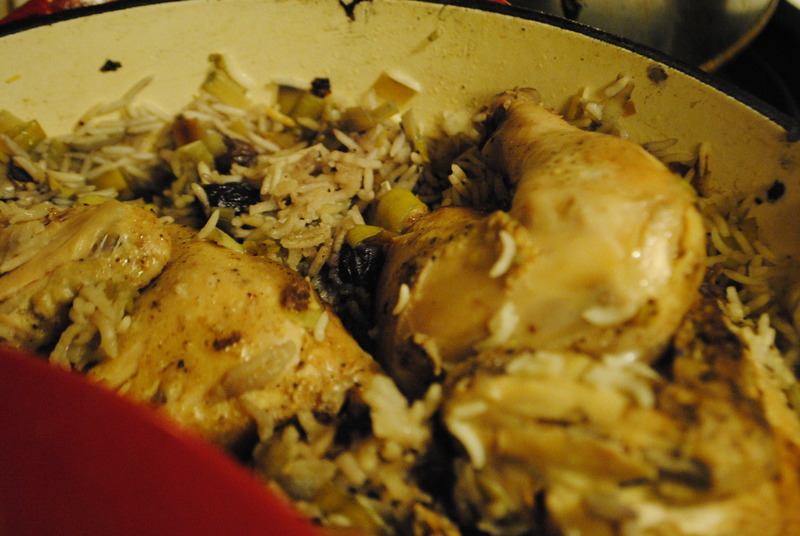 Pour the boiling water over the rice and chicken, cover the pan, and cook over very low heat for 30 minutes. Take the pan off the heat, remove the lid, quickly place a clean tea towel over the pan, and seal again with the lid. Leave the dish undisturbed for another 10 minutes. Finally, add the herbs and use a fork to stir them in and fluff up the rice. Taste and add more salt and pepper if needed. Serve hot or warm with yogurt mixture if you like. I cannot rave enough about this recipe — or this cookbook — for that matter. When something can compare with a blueberry pie — well, it is for sure a keeper!! If you are looking for a way to brighten up your winter cooking, Jerusalem for sure has the ammo needed. Stay tuned for more of our cooking adventures with our Winter Share and “Jerusalem”.